The Yuzhong District Tourism Commission announced that the second Chongqing Summer Tourism and Cultural Festival will be held on the Jiefangbei Pedestrian Street this weekend, running from June 29 until July 1. People with summer getaway plans may wish to attend in order to learn additional information and customize their own summer holiday! More than 100 booths have been set up in preparation of the festival, which will feature on-site representatives to showcase their local, regional, and national tourist destinations, including Wulong, Changshou, Beichuan Jiuhuang Mountain, Guizhou Province, Qiyang County, Zunyi City, Tongzi County, and many others. In addition to these showcase booths, Huaxia Airlines will introduce several daily non-stop travel routes to Alashan, Longnan, Yangzhou, Zhangjiajie, and Xingyi at the festival. With this year's new high-speed railways opening, the traffic from Chongqing to Guiyang will be much more convenient: it will only take 2 hours to get from Chongqing’s scorching 39° C temperatures to Guiyang’s pleasant 23° C temperatures. Guiyang's “Summer Resort” has recently attracted more attention from Chongqing residents. 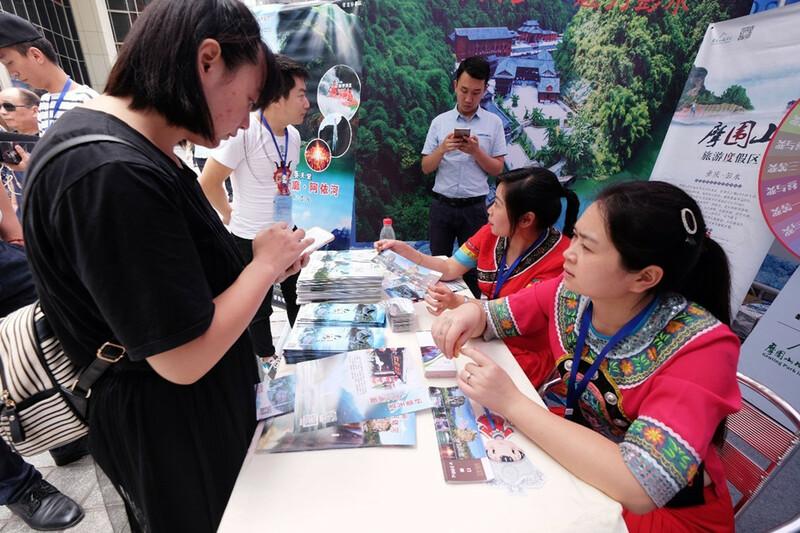 To this end, the Guiyang Housing Fair Organizing Committee has arranged to attend the Summer Tourism Festival in Chongqing, and promote livable tourism resources. They will also prepare a number of discount tickets for various scenic spots.